I have some doubts that social axiomatic of theory of ethnic identity is well proven and it represents a fundamental fact of modern social sciences. Thus,I suppose,sooner or later, accumulation of the errors must change current social and cultural anthropology again and return of classical ethnography as natural science could be unavoidable. I suppose there are two cultures of the future predictions – intuitive predictions and scientific – like - predictions based on calculations. In comparison with the cases of “obvious” telepathy, collective mind reading and methods of “logical deduction” on future in non-natural sciences, calculations of the future in natural sciences are based on mathematical theorems. In order to show how mathematical predictions can work in the case of Scottish Independence referendum 18.09.2014, let us assume that abstract mathematical symbols are able, nevertheless, to reflect some unconscious complex reality by some unknown ( today even for professionals ) way. Next step. I use known Arnold’s theorem on the first digits of 2ⁿ numbers ( where n =1,2,3,4,5,6,7,…natural numbers ). Arnold’s theorem predicts an existence of exact topological relations ( Index) between population and size of the given state. For example, Arnold’s Index for Ukraine and Georgia is the same 4/6, whereas for France 6/6, Italy 6/3 and UK 6/2. Thus, in some deepest geometrical sense there exists some unavoidable discomfort in UK and Italy. Hence, it is quite possible that expected Yes vote in Scotland Referendum represents unspeakable expression of some ethnomathematical reality in UK. It is obvious now that Crimea's referendum has led to the international crisis.My Wisdom of Crowds model for post-referendum Scotland suggests that the division of nuclear EU member into smaller units can produce crisis as well. One thing that springs to mind here, reading this, is that the quoted passage makes a classical error of conflation of national and ethnic identities. This is quite common, and I'm not condemning anyone for making it, but I do think it raises a problem of classification types and overlapping ethnic identities. To take an example from my own native ethnicity-stack, one might consider oneself American, northeastern, a native of Massachusetts, a western Mass person, and a person of French Canadian origin. Each of these reflects different aspects of what could be termed ethnic identity under this definition (shared history, geographic area, and culture). In the Scottish example, is the problem not that Scots do not consider themselves British, but then when forced to choose a single identity, Scottishness becomes paramount? (One might also question the potential bias caused by asking what is essentially a leading question in a politically charged atmosphere.) Ethnic identity might, IMO, be more appropriately understood as one or more intersection of multiple identities, rather than congruent with political citizenship. As is known, a legal fiction is a fact ( scientific fact in the case of dogmatic legal fiction ) assumed or created by courts as a consequence of existence of legal system. Legal fictions are conjectured as a real facts if even it can contradict reality shaped by law. For example, the fact that there were no property rights in land in Australia before the time of European colonization is legal fiction. Scottish Independence as a result of Scottish Independence referendum by 18 September 2014 also is accepted as a legal fiction today. Similar with platonic existence of mathematical entities, legal facts could be regarded as a source of rules and the principles of human activity. Like mathematical theorems they can be counterintuitive it should not be extended so as to lead unjust and nonexact results. Legal fictions can be considered as spatial mathematical objects, equipped with morphisms,2-morphisms and elements of categories. Probably, they have extraordinary mathematical life and their forms contain some sense of future. Such legal fiction as Scottish Independence creates a subject, legal personality, quasi- Corporation which itself capable to have ethnicity. Similarly, Crimea Independence as a result of Crimea Independence referendum by 30 March 2014 ( a consequence of Maidan February revolution in Ukraine ) can be also accepted as a legal fiction. However, in the last case, there are different interpretations of such fact, produced different global political, military, legal divisions and binary Myths. According to Levi-Bruhl in these circumstances human mind does not differentiate the supernatural from reality, but rather uses mystical participation equipped with advanced technologies to manipulate “ the world “… Unfortunately, books published by some distinguished scientists ( Physics for Presidents of USA, Quantum Physics for poets) in order to overcome popular paralogical trend were insufficient before and world after these two referendums may become more uncertain. Keith, probably you are right. This "place" looks like forgotten lab where works suddenly were stopped... Perhaps, Fortes was here...May be Gestalt idea was also used. John and Larry thank you for comments. Notion Ethnic Identity [ EI ]contains some unknown unconsciousness or intuitive mathematics, however, social theorists of social identity, social self-categorization and social coherence ( three basic paradigms of ethnic identity ) are usually ignored it or try to consider such content as “a kind of unclassified noise “. Term Information is used in social sciences, some sociologists are able even to calculate the number of bits of information contained in some social communications. However, it would be difficult to justify it ether practically or theoretically. Initially, bits of information were introduced by Shannon as a mathematical trick ( log function ) associated with transistor principle. Nevertheless, intuitively when we speak of Ethnic identity as form we should also use the word “information” because EI contains some scalar measure of information ( e.g,. some entropy of human communications accepted into given society ). In accordance with Thom’s approach, it should be geometrically interpreted as the topological complexity of a form. 2. Idea of Stored Information in EI or “EI memory” leads to the idea of structural stability of EI. Leach already considered some ethnic groups as a stable crystal and some group identities are associated with pseudostatic states ( in Leach sense ). We may assume that stable state of EI could be connected with an existence of some fields and even “information flow” as well. 3. Idea of Entropy. When we propose a possibility of a free interactions between two ethnoses we may assume also a kind of integration ( or weak random perturbation ). Hence, idea of measure of chaos or pseudostability in presence of disorder are formulated…. 5. Idea of Spatial (and language) complexity. 6. Idea of Aging of a dynamical system and the evolution of a field toward equilibrium, etc. As result we can introduce some picturesque – mathematics ( mathematical language of col. sketches ) in order to describe Ethnic Identity as a Form for future predictions. For example, language of monoidal categories ( strict symmetric monoidal category) could be used , where Alice and Bob in inter-ethnic communication share some state , (“Bell state”) then Alice performs some symbolic operation that depends on a discrete variable 1H, and at the same time , Bob does an operation that depends on 1H. The end-result is a perfect clear channel between Alice and Bob ( or complete understanding state ). In quantum mathematics this protocol is known also as “quantum teleportation protocol”. We suppose, thus, that post - Thomian form-formation as clustering in chaos is not only mathematico - physical phenomenon, but rather a universal phenomenon inherent in nature and society. What's this about all oak leaves looking more or less the same? I'm with Heraclitus: no man can cross the same river twice. Evolution is THE universal principle. As for the question, who's Scottish and who's not? All a matter of personal perception. Every person perceives a world that's unique in detail. Ideal type accounts of Chinese family and lineage organisation described multi generation patrilineal households with virilocal marriage resulting from the Confucian (found in Mencius) statement that the worst of sins was failure to produce a son to carry on the worship of the family ancestors. Demographic evidence showed that only a minority of Chinese families displayed this form. One popular theory described the difference as one of social class, with the ideal form of family only possible for wealthy families and the poor lacking the resources to sustain enduring family lines. Fortes' developmental model of the domestic group suggested an alternative hypothesis, that big families (the ideal) would, given equal inheritance for all surviving sons, tend to fall apart into smaller (less ideal) families that would, however, grow over time into bigger, more ideal families. Families, like dynasties, would rise and fall, but the ideal big family would be the form toward which all families would strive to grow. The last time I looked, this theory, too, had proved to be too simple to account for the variation that the data on tens of thousands of household registrations revealed. But the data exist, and if Wolf is willing to share it with you, would provide an excellent testing ground for more sophisticated mathematical models. Michael, I am happy to discuss the problem in its abstract sense as the succession of forms. Which do you consider to be the more remarkable -- continuity or discontinuity of forms? Is it reasonable to discuss the second before the first? Perhaps, if we are not going to fall into an ahistorical functionalism. But I would like to know your provisional answer. I would always sign up for Heraclitus and Anaximander before Pythagoras and Parmenides. So we are on the same side here. But, rather than repeat the one-sided treatment of Russell's History of Western Philosophy, may we need to move on to considering the dialectical relationship between the two camps? I was exhilarated by your mention of D'Arcy Thomson's Growth and Form which was the main (unacknowledged) influence on my teacher, Meyer Fortes, in building the approach he called "the development cycle of domestic groups". He moved to social anthropology via Malinowski and LSE after coming to London from South Africa to help Karl Pearson develop mathematical psychology. He was interested in how social forms could persist given the intrinsically chaotic nature of human reproductive life. His answer was that they intervene at key moments in the reproductive cycle as rites of passage -- marriage, birth, coming of age, funerals -- to shape the collective consciousness of a people. 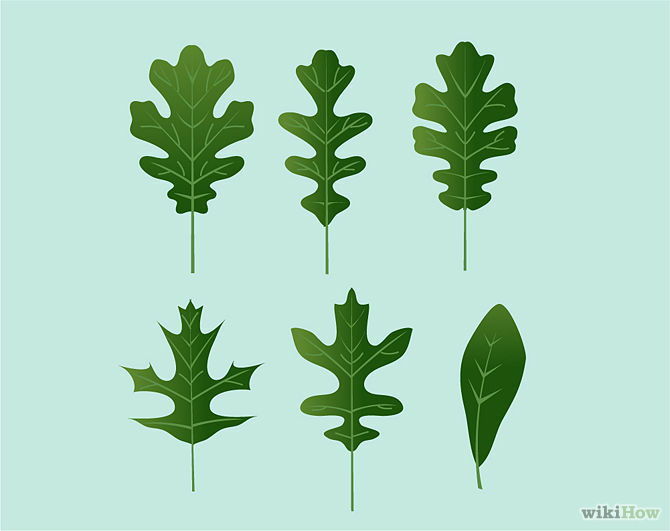 Of course some of us have always been more interested in the discontinuity of social forms, But D'Arcy Thomson's critique of Darwinian evolution and Mendelian genetics (why do all oak leaves look more or less the same?) remains powerful at a time when difference is routinely celebrated (as in Scottishness), while anthropologists rarely ask themselves what it is in human beings that allows us to contemplate anthropology at all. The cognitive evolutionists have answers for this, but that should not exhaust the possibilities. So I am up for the remaining demonstrations of your position, if you are. Keith, thank You for comment. Suppose Scottishness is already an object of natural scientists of the 21st century. Let us start the analysis of Scottishness in the form of modified citizen science experiment and I’d like to invite my colleagues to comment my systematic consideration of ethnic identity from uncommon (unfortunately, today) point of view of non- social anthropologist. I am assuming also that natural history of mankind is not chaos. We and our informants are able to recognize objects to which we give the names. I am assuming, thus, that the purpose of anthropology is to foresee change of forms and, if possible, to explain it. I am assuming , philosophically speaking, thus, that pre-Socratic dialectical philosophy ( Anaximander and Heraclitus ) is not trivial ( as I.Kant earlier suggested ) even in 21st century. I am assuming that we can construct pure mathematical theory of ethnotransformations , independent of our current knowledge of biology, genetics and entanglement physics of ethnic identity, if even it might seem difficult to believe it now. This mathematical idea is not new and can be found in the classical books of D’Arcy Thompson ( On Growth and Form ), Rene Thom ( Structural Stability and Morphogenesis. An Outline of a General Theory of Models ), and recently in the publications of mathematicians working with Thom polynomials, KAM theory and quantum physics.